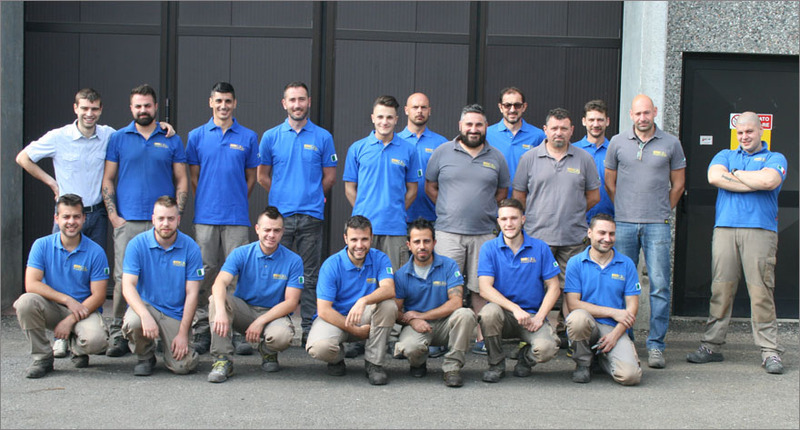 CBL Srl, located near Varese (Italy), is specialized in the construction of inductors for heating of different types of carbon steels, brass and stainless steel. The wide range of furnaces produced by CBL is extremely comprehensive, the tailor-made furnaces satisfy any requirements, even the most specific. CBL is also able to repair and restore worn out and damaged inductors, as well as design and build conveyor belts. Each individual processing stage is carried out with great professional competence by experienced and qualified technical staff, in order to guarantee the maximum efficiency and durability over the years: a feature greatly appreciated by the companies who entrust CBL with their production. Know-how, promptness, organization, flexibility and high quality materials are the main factors which have allowed CBL to achieve considerable targets by offering high quality and excellent performance products. CBL removed all toxic and noxious material from their manufacturing processes a long time ago; they can therefore operate in international markets where regulations to protect both people and the environment are extremely restrictive. 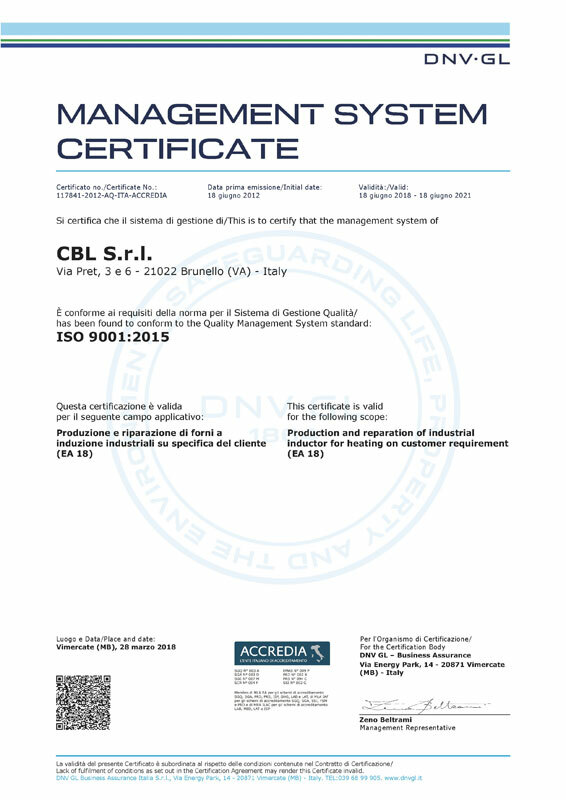 Company with quality management system ISO 9001 certified by DNV. 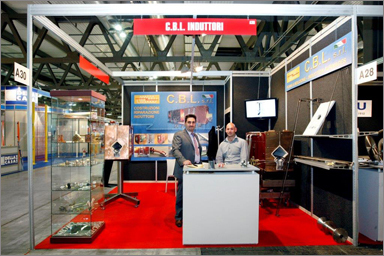 CBL was born about 15 years ago from an idea by Massimo Lazzarin and Giacomo Bettinelli, the current owners who, very young at that time, were responsible for the repairing of induction furnaces at a very well known firm located near Varese, Italy. 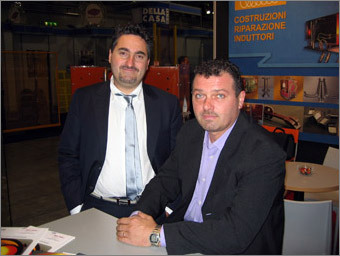 By resigning and renting a small shed, they founded CBL and made their dream come true. The hard work and the total abnegation towards their firm, so that to consider it as an authentic family member, has driven them to the attainment of more and more ambitious goals. Today CBL employs 14 motivated internal collaborators, who along time have been specializing until becoming professional technicians. The firm extends over a surface of 3500 square metres and makes use of 3 intervention and trasport vehicles.